With little ladies growing faster than I can cope with I now have a small collection of little bikes I don't need. What I could do with is the space they currently take up. Should have done this before Christmas I think, but hey ho. 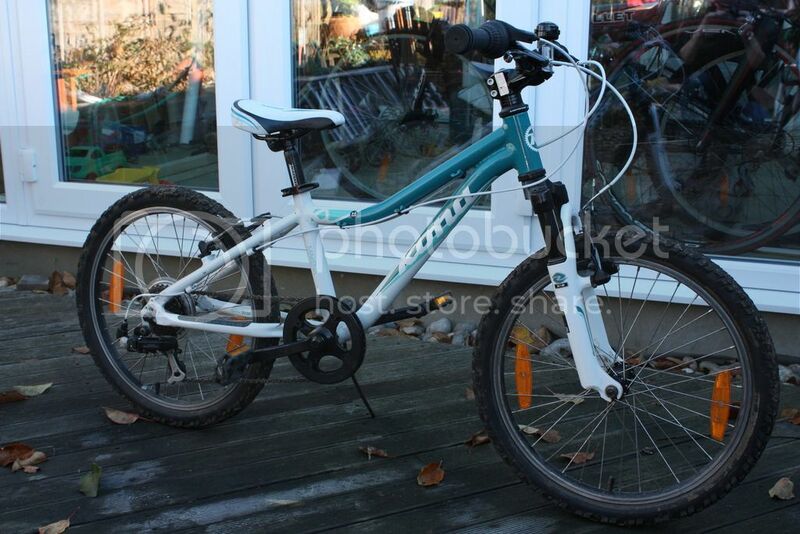 First up is Miss Tinc #2's 20" Wheel Kona Makena - a really lovely looking bike. I will admit that it needs a clean, but other than that it's been really well looked after & has no issues, it needs nothing. It's 1x6 with twist grip shifting & slowed by v brakes. 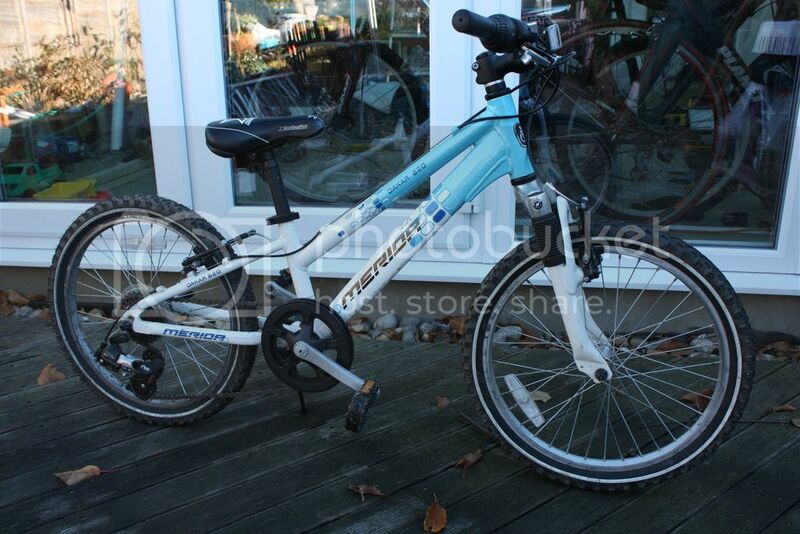 This has been a great bike for Miss Tinc #1 & will be sorry to see this one go, but it needs a new home. I'd like to see £75 collected from North Kent or I'm happy to post at cost. May be able to agree delivery. More piccies here, but I'm happy to provide specific photos on request. Next up is Miss Tinc #1's Merida Dakar 620. Another lovely bike that has to go. Again 20" wheels & in great condition mechanically & cosmetically this little machine is 1x7 on twist grips with V brakes both ends. More piccies here, but again I'm happy to provide specific photos on request. I also have a Specialized HotRock 20", but I need to look at that before I post it..... won't be long though, if a Spesh is you thing. I'll check the forum regularly or you can pm me of course. Good luck mate, I take it the girls have bigger bikes to replace these already & you have a heaving garage? Yes sir..... Both suitably upgraded. I had some unexpected additions to the collection the other day that inspired me to count the bikes we have.